St. Louis Blues President of Hockey Operations and General ManagerDoug Armstrong announced today the Blues have signed forward Mackenzie MacEachern to a one-year, one-way contract extension worth $750,000. MacEachern, 24, was originally drafted by the Blues in the third round, 67th overall, of the 2012 National Hockey League (NHL) Entry Draft. 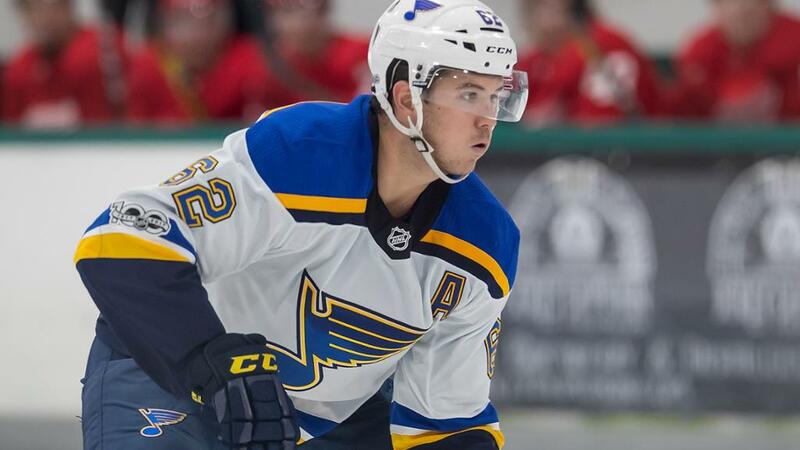 Currently in his NHL rookie season, the 6’3, 197-pound forward has recorded three points (two goals, one assist) and two penalty minutes in 10 games with the Blues. The Bloomfield Hills, Michigan, native has also appeared in 33 games with the Blues’ American Hockey League (AHL) affiliate, the San Antonio Rampage, tallying 16 points (nine goals, seven assists) and 18 penalty minutes.